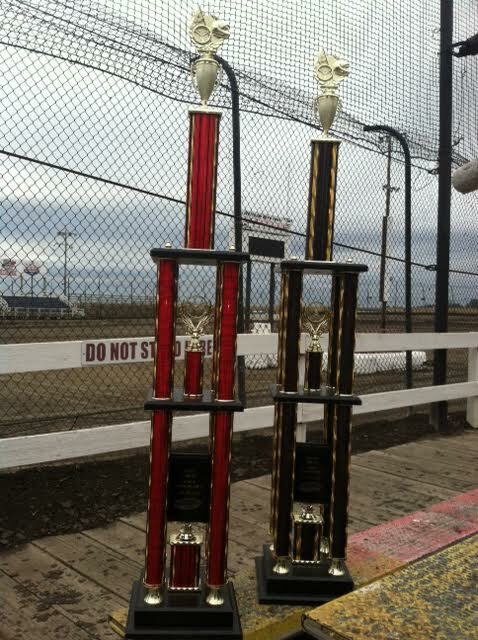 MACON, Ill. – On the season finale for Macon Speedway Saturday night, drivers go for championships and trophies while the fans get a chance to go home with a prize – or maybe the experience of a lifetime. It’s a crazy night at the legendary fifth-mile high banked dirt oval as we complete another fabulous season. 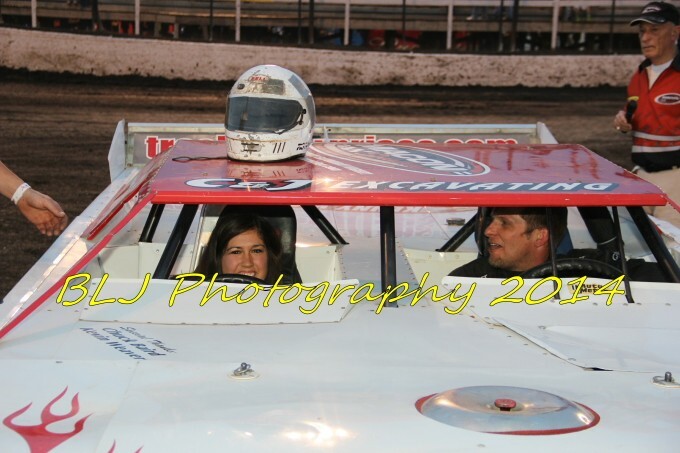 During the Hornet World Championship presented by DynaGraphics/ILMO Saturday, Macon Speedway will hold a free raffle where one lucky fan will win a ride in the two-seat Late Model. Bring the camera. It just might be you. Thanks to our generous sponsors, there will also be plenty of gift certificates and prizes handed out. 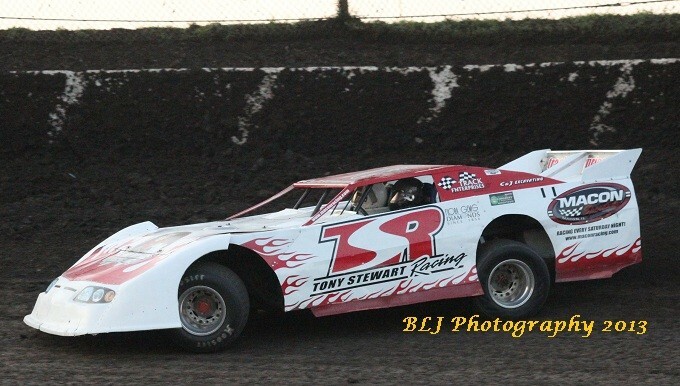 Macon Speedway will hold racing in seven classes in the final night of racing in 2014 after adding the highly competitive B-Mods to the lineup. B-Mods have also been added to the racing lineup. Like Pro Late Models, B-Mods will become a more regular division next season after running at Macon Speedway for the first time this season. The division continues to grow in Central Illinois, and the car count is expected to jump next season. So get ready for some exciting, door-to-door racing in a class that’s friendly on a driver’s wallet. DynaGraphics will also hold a contest for a $500 voucher good toward any product in its lineup, including a vehicle wrap. The Decatur-based company specializing in signs, printing and wraps will show off its products, and a lucky contestant will win a prize package valued at $500 from a giveaway during the racing program. The voucher will be good toward any wrap, sign, graphics project or printing by DynaGraphics, 3220 N. Woodford St., Decatur. ILMO Products will distribute coupons to the first 1,000 ticket holders for a free pair of OSHA approved sunglasses. ILMO is a single-source provider of industrial, medical and laboratory gases in bulk, micro-bulk, cryogenic and cylinder solutions. ILMO offers bulk and residential propane, welding and safety equipment, industrial supplies and accessories, and welder rental and repair services. Based in Jacksonville, ILMO also has 10 locations, including Decatur, Springfield, Litchfield and Mattoon. After Mother Nature didn’t cooperate last weekend, Macon Speedway offers another invitation to Scouts and Special Olympics. Scouts and Scout leaders in uniform receive free admission, and Scout parents and their adult children may buy tickets for $10. Special Olympics athletes and their families receive free admission. Just wear your Special Olympics T-shirt. The Outlaw Hornets will race in a $300 to win feature plus the chance to take home the Outlaws championship trophy – a definite keepsake for any racer. This is the same style of trophy the guys get when winning on the state fair miles. The Stock Hornets will also run for the Championship trophy as the class gets some of the spotlight at the famed fifth-mile high banked dirt oval on the final night of another spectacular season. The full lineup is Billingsley Towing Modifieds, Street Stocks, Sportsman, Outlaw Hornets, Stock Hornets, B-Mods and the Illinois Lightning Sprint Series will also race. Gates open at 5 p.m. with racing at 7.